Responsive design is about developing web and email content that adapts well to whatever way the user is interacting with it — in other words, it is design that responds to its environment. Instead of pinch-zoom-scroll (and their partners: squint, skip, delete), your email snaps into view on the smartphone or tablet, laid out perfectly for the screen size and shape, legible and readable. Converting email design to a responsive layout is no longer just an option: it’s a critical step in making sure your important messages are being received correctly. Got a responsive design? Great, now what? With the proliferation of smartphones and tablets, a huge percentage of emails are now read on mobile devices: 56% of all emails according to Litmus Email Analytics, as of July 2016. And most of us have tried to look at an email or web page that is NOT optimized for our smartphone! Pinching, zooming, scrolling… scrolling… scrolling… and often, experiencing images or text that don’t load properly, or at all. You’ve probably already put in some time and effort to make sure your emails have a responsive design — but there’s more to do! Writing styles for email communication also need to adapt. As a DemandGen Campaign Specialist who has developed many, many emails for our clients, I’ve learned some great techniques that help dynamically present your content in a mobile environment and enhance its readability. Subject lines are more important than ever. First and foremost, have a great subject line to draw readers into the email. When looking at a myriad of emails sitting in an inbox, whether it be on a mobile device or on a desktop computer, the emails with the provocative subject lines will be the ones your recipients open first. Improve subject line development through research and A/B testing. Put important content up front. Remember that a smartphone screen is physically not very big: you’re looking at a small rectangle for information. Yes, you can scroll, but remember back in print marketing days when we talked about important content being “above the fold”? We used that term in web design, too, meaning essentially the top of the page to the bottom third of your PC’s screen. So now, think of your content and how it fits on the smart phone’s screen before any scrolling has to happen: that’s “above the fold,” and there’s not much of it!Get your primary message and at least one call to action link into that space. Some readers might already be sold on your message, so don’t make them scroll around to find out what to do. Emphasize the calls to action (CTA). Even now, and even with marketers who are really experienced, I still see emails with a call to action that’s just a plain old text link at the bottom of the email. That is the worst thing you can do: this is the click industry! If you have bright and bold CTAs asking for a specific response, throughout your email and they’re not clicking, you’ve got the wrong leads. Punch it up with keyword-heavy headers. Because of the way you can quickly skim through emails on handheld devices, you need to focus on short, catchy headers and taglines throughout your email to make sure key messages aren’t missed. Integrate important keywords into your headers.Make sure you use headers throughout. A few years ago, only one main (H1) header was standard, and after that, you weren’t supposed to have any more main headers. Times have changed! Now you can have headers throughout your email. Make them nice and bold, in a bigger font or a different color, to catch readers’ eyes as they’re scrolling past. Use them to highlight important parts of your content that you need them to know, that may be harder to see within your content. Keep your copy lively and easy to read. Less is more. Along with a small screen comes narrower width for text blocks. For better readability in that environment, keep to shorter sentences, shorter paragraphs, and fewer of both. Think in terms of “sound bites” of information. Of course, sometimes you have to send a longer email. But shorter phrasing keeps your copy moving along in a lively way, driving toward the ultimate goal of most marketing campaigns: getting a click on the call to action (CTA). Test for reading ease. Software tools and websites (some free) offer readability testing, which can help you adjust your copy to be appropriate for your audience. Look for one that scores text against one of the leading readability indices such as Flesch-Kincaid Reading Ease, Gunning-Fog Score, Coleman-Lau Index, or SMOG. The paragraph in the first bullet, for example, scores 60.3 on Flesch-Kincaid Reading Ease, making it suitable for 8th-9th-grade levels and above. Get help if you need it. If you already have a responsive design, these suggestions I’ve made can help you improve on it; DemandGen would be glad to give you a hand. And if you’re not there yet, give us a call — because you can’t afford to ignore having a responsive design any longer! 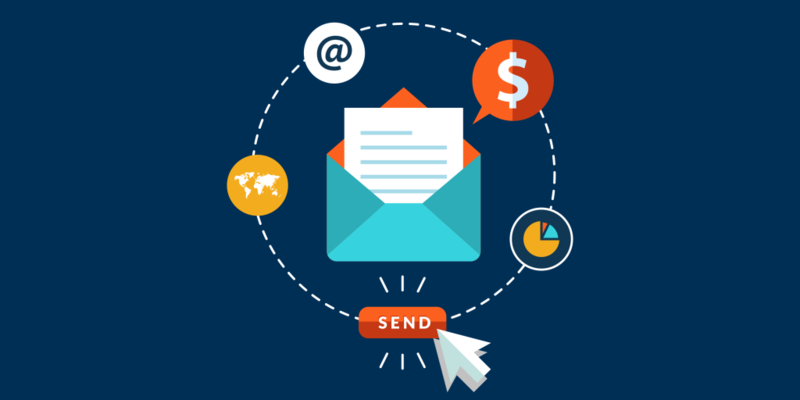 Let us help you maximize the power of your emails for the greatest level of prospect engagement. Kathy Gillman is a DemandGen Campaign Specialist helping clients fully leverage their marketing automation systems through expert execution and deployment of demand generation projects. With a background in Web Development and Communications, she deeply cares about how campaigns resolve and how they are interpreted by your potential clients. Email marketing is still very effective but very few know how to do it in a genuine way. Many people make a mistake of bombarding people with their promotional emails which ultimately result in getting marked as spam by email provider as it also looks for signals to prohibit users from sending spam emails to a huge list of emails. Generally, you should only send emails to the people who you gather on your website by asking their permission.